The American journalist Austin Tice disappeared in Syria in 2012. He is alive. Help us to bring him safely home. Austin Tice chose to go to Syria as a freelance journalist to report on the conflict there. His work was published by the McClatchy Newspapers, the Washington Post, Associated Press, AFP, as well as CBS, NPR, and BBC. His reporting was awarded the 2012 George Polk Award for War Reporting and the 2012 McClatchy Newspapers President’s Award. On August 13, 2012, two days after his 31st birthday, Austin disappeared as he was preparing to travel from Daraya, near Damascus, Syria, to Beirut, Lebanon. He is alive and he is not held by ISIS. Syria is the world's most dangerous country for journalists since the start of the uprising in March 2011, with hundreds of journalists and citizen-journalists arrested, kidnapped or killed by the various parties involved in the conflict, as Reporters Without Borders reported constantly. The local journalists have especially paid a high price in their fight for freedom of information. Sign the petitionJoin Austin’s parents to urge the US Administration to do everything possible to bring their son safely home, sign the petition. 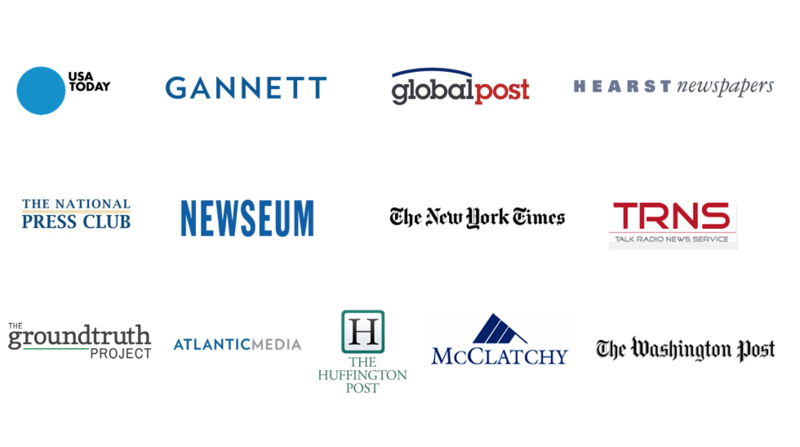 The #FreeAustinTice campaign launched by Reporters Without Borders is supported by partners. The blindfold is the symbol of Austin Tice’s unanswered kidnapping. Take a photo to tell the world that without journalists, we are all deprived of information, we are all blindfolded.